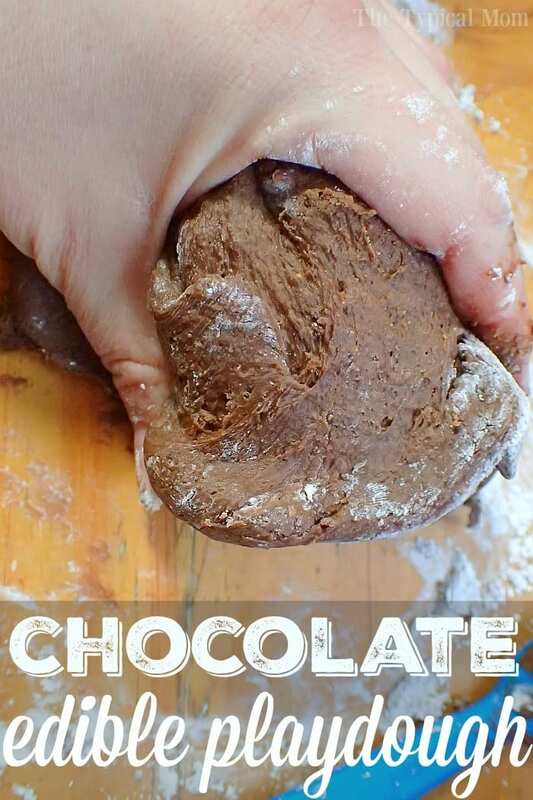 This is how to make edible chocolate playdough or any other flavor for that matter! It’s a fun kids activity to do during the summertime or on the weekend and great for toddlers since it is non toxic. Playdoh is fun and this easy recipe takes only 3 ingredients. Stores for days for endless fun for all ages. I bet you wish your mom knew how to make edible chocolate playdough when you were younger huh??!! How fun is that?? It doesn’t even have to be chocolate, it can be lemon or vanilla if you’d rather but why would you not want something to be chocolate….let’s be honest. 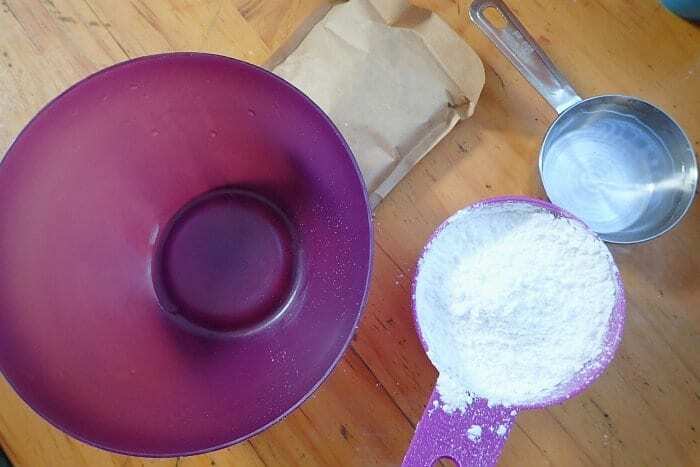 Here’s how easy it is to make edible slime or playdough that’s perfect for toddlers and Preschoolers who tend to put their hands in their mouths and you want a non toxic playdough they can play with. It’s just one of many activities listed on our summer to do list full of free and cheap fun. This is literally all you need. Instant pudding is the key to making this edible playdoh and as I said you could choose whatever flavor you choose at the store. You could even choose pistachio pudding! Just get a bowl out and I like to use thin plastic cutting boards as a sort of playing surface when the kneading begins. We have made many homemade playdough and best way to make slime recipes here on The Typical Mom so after you try this one head back and try another on this list too! They’re all great rainy day activities and especially fun during the summertime when you’re thinking of things to do to keep them busy for months on end. It’s cheap too…my style! Kids love playdough and slime but if you are the mom of young children you know that many of the ingredients in traditional slime and playdoh are not safe for children that still put things into their mouths. 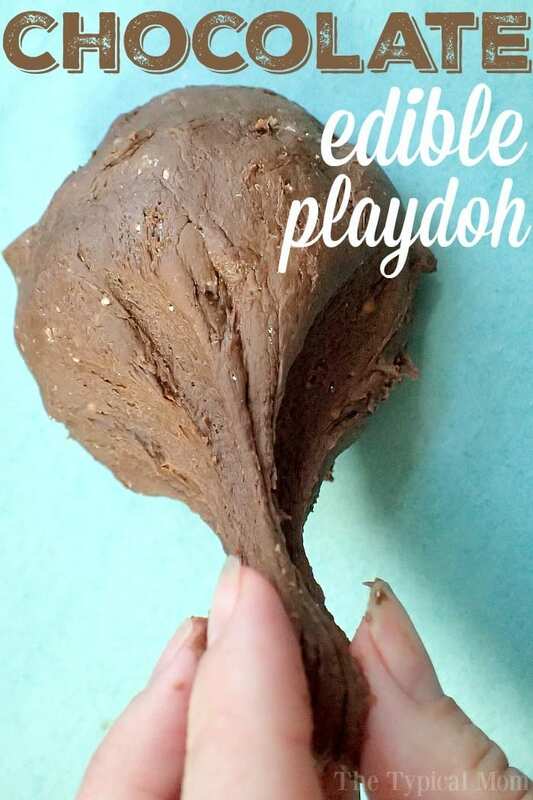 This chocolate playdough is made with simple edible ingredients, smells amazing and tastes like chocolate pudding all while being 100% safe for the kids to eat when they are done playing. Try it and have fun…then use a different flavor and there’s an edible playdough activity for another day!